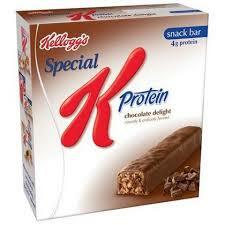 Get a free Kellog’s Special K Protein Meal Bar trial pack that includes coupons. Kellogg’s likes to send out great samples and coupons like this. You need to either sign-in with your “All-K Pass” or register (it’s easy) in order to request this sample. You can expect to receive your free sample in 6 to 8 weeks. And if you haven’t already printed them – there are some great $1.00 off 1 Special K product coupons. I buy the 90 calorie bars all the time. The blueberry is my facorite.